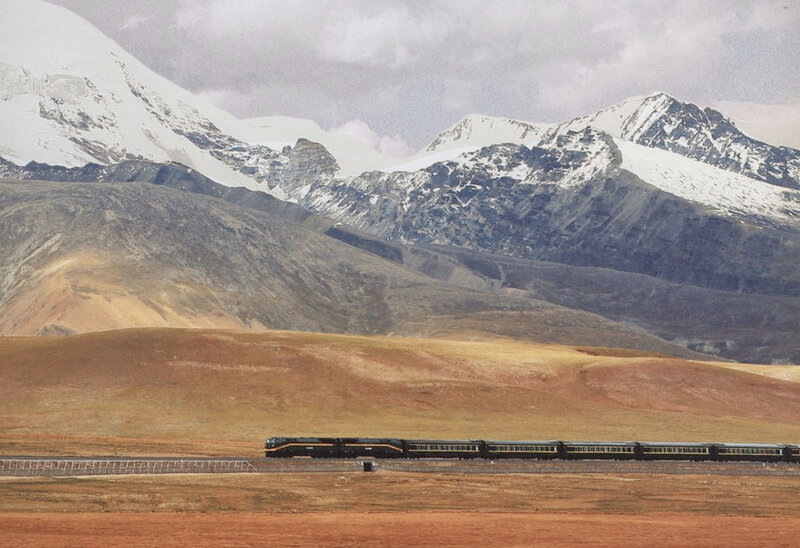 Crossing the vast central plains of China in its Beijing to Lhassa itinerary, the Tangula offers luxury accommodations in a world class atmosphere of refined elegance and comfort and in a unique Chinese style. 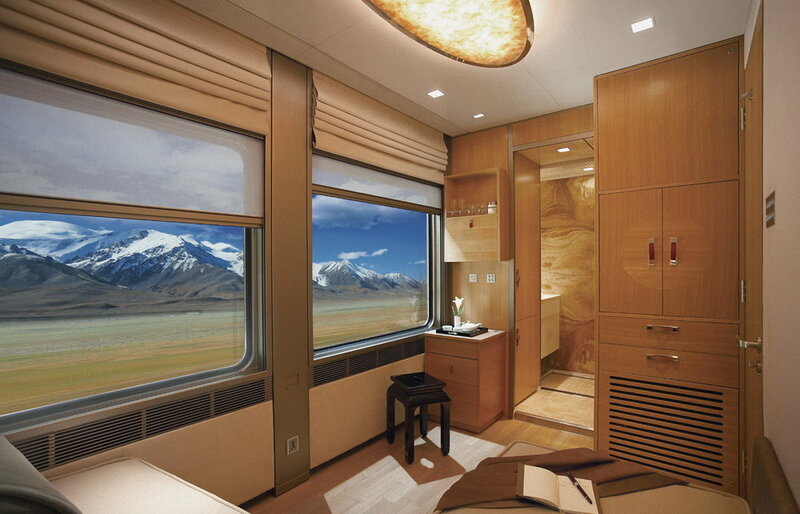 The Tangula interiors allude to China’s rich culture and history while imagining her future. 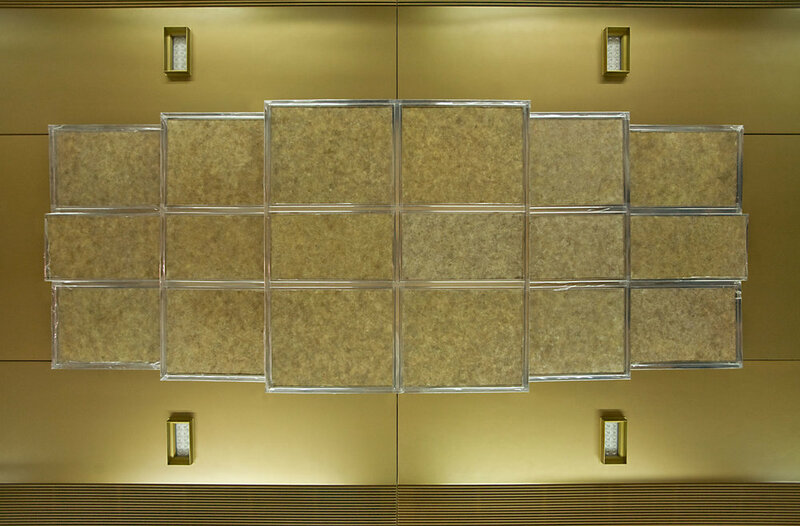 Natural materials, soft leather, natural stone and exotic woods and finishes invite touch and soothe the eye. 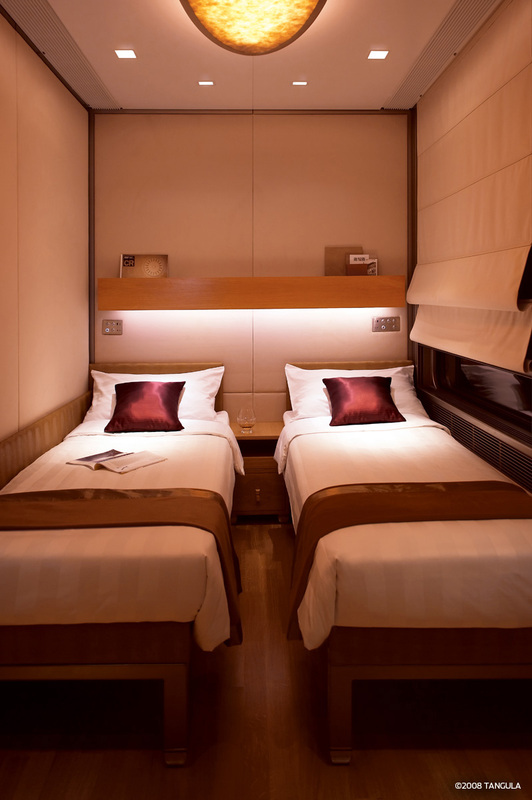 Recurring motifs, such as the moon in the night landscape, suggest ancient art motifs and myths, while the overall environment of comfort, state-of-the-art technology, and elegant passenger attention match other world class travel opportunities. 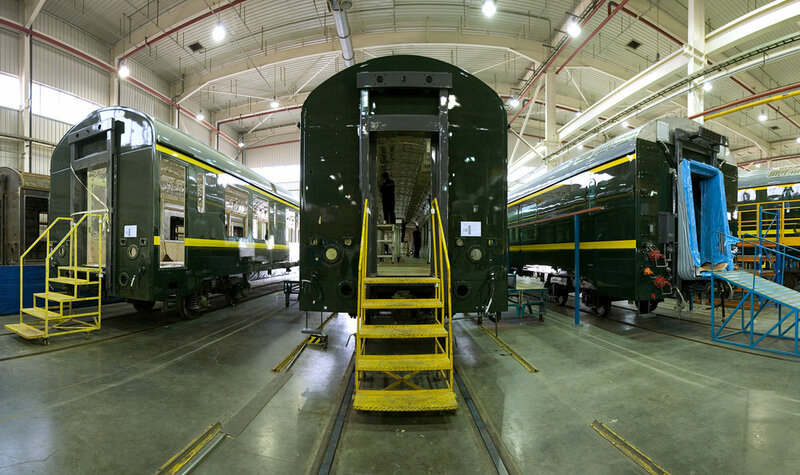 The train body has been engineered to offer the largest possible windows for the fullest passenger enjoyment of the view. 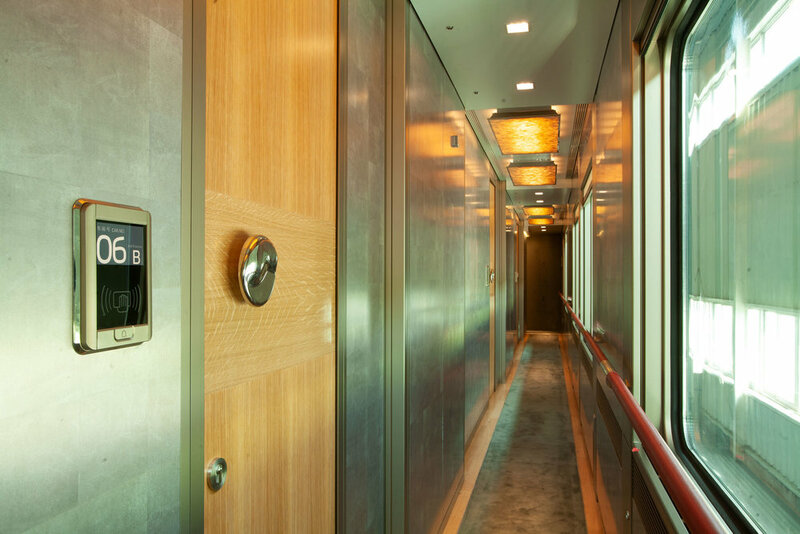 In the cabin suite, the colors and textures of the interiors, soft to the touch and soothing to the eye, are inspired by the colors of the passing landscape. 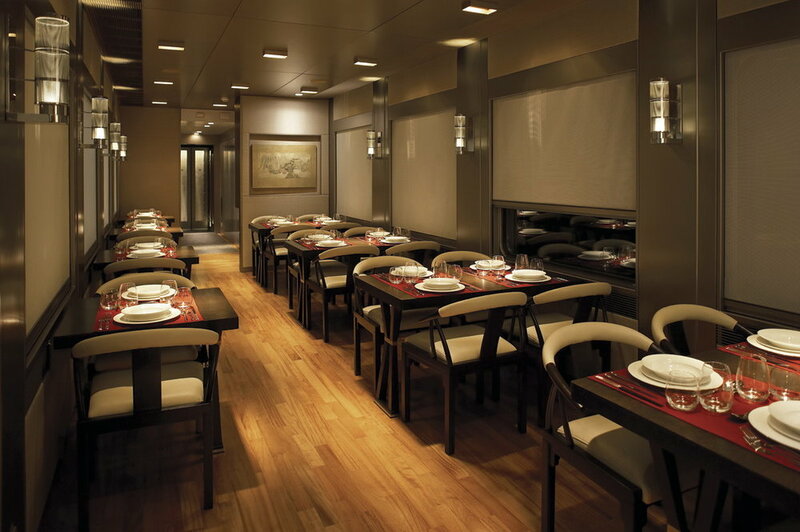 The two dining cars are set for meals with fine china on polished tables of refined and exotic wood veneers. For an alternate environment, the tables can be lowered and the chairs moved to create open space for larger gatherings. 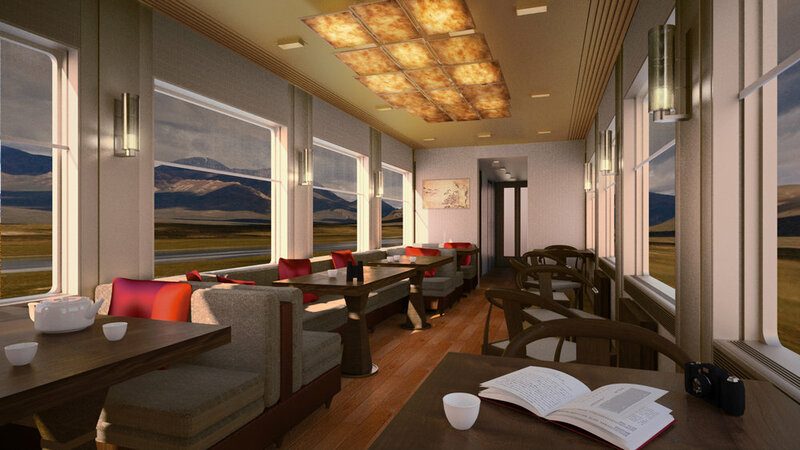 The scenic dining car offers grand views of the landscape in a more casual environment. Soft sofa seating and leather upholstered chairs invite multiple combinations of seating for socializing. 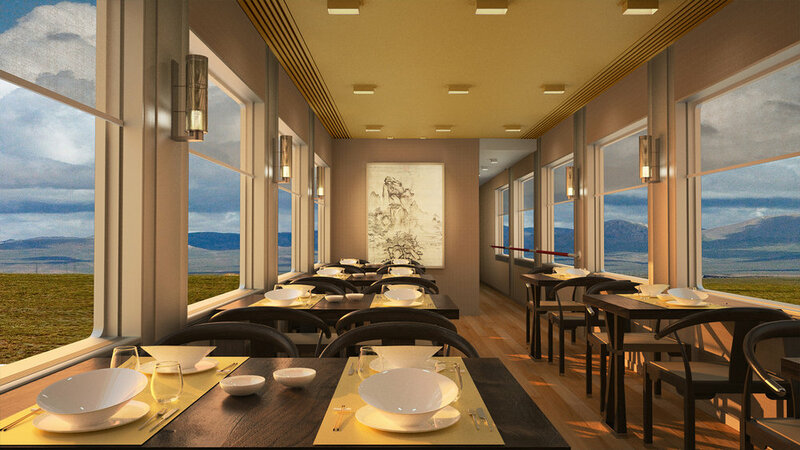 During the day the large windows offer panoramic views. 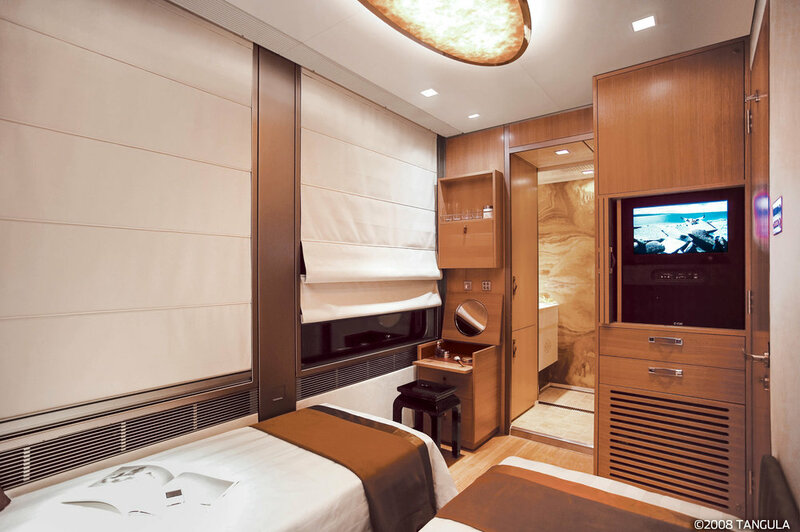 The style and furnishings of all the cars combine the best of Chinese aesthetic, sensibility and accomplishment - the ancient culture of refinement and the modern capacity for fine production. 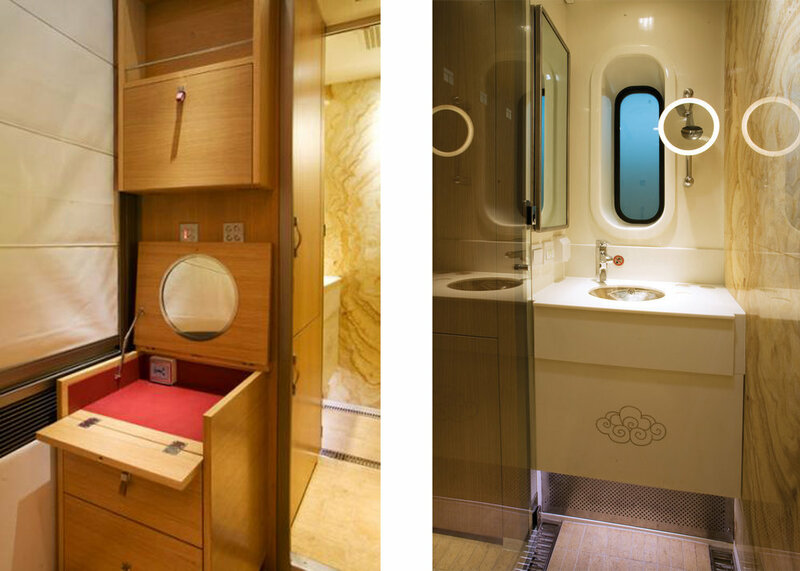 Both combine to provide interiors of subtlety and finesse. 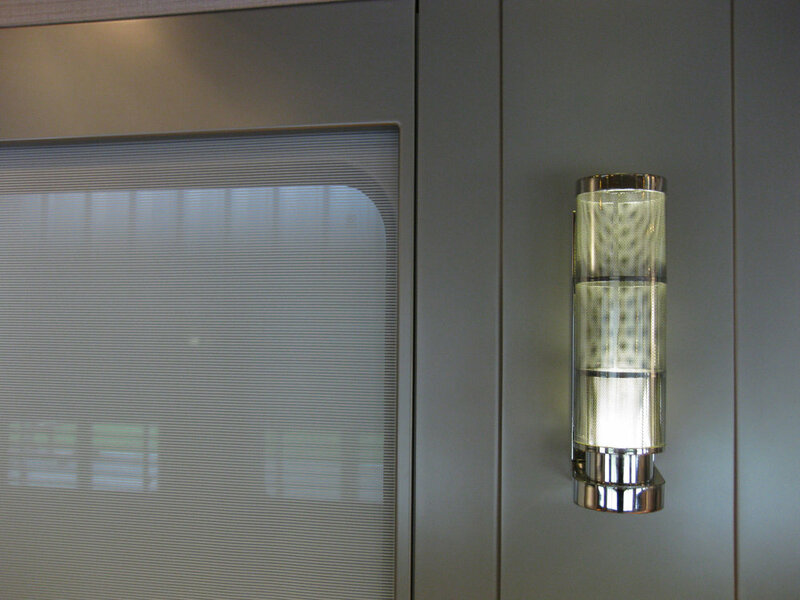 For more information please see Railway Interiors International magazine article in September 2008 issue in PDF Tangula Luxury Trains.